These are the DLC of a "fantasy" campaign with German units. Your core army is saved after the last mission. Each DLC contains 10 missions. DLC I starts out (very) small in map size and core army. 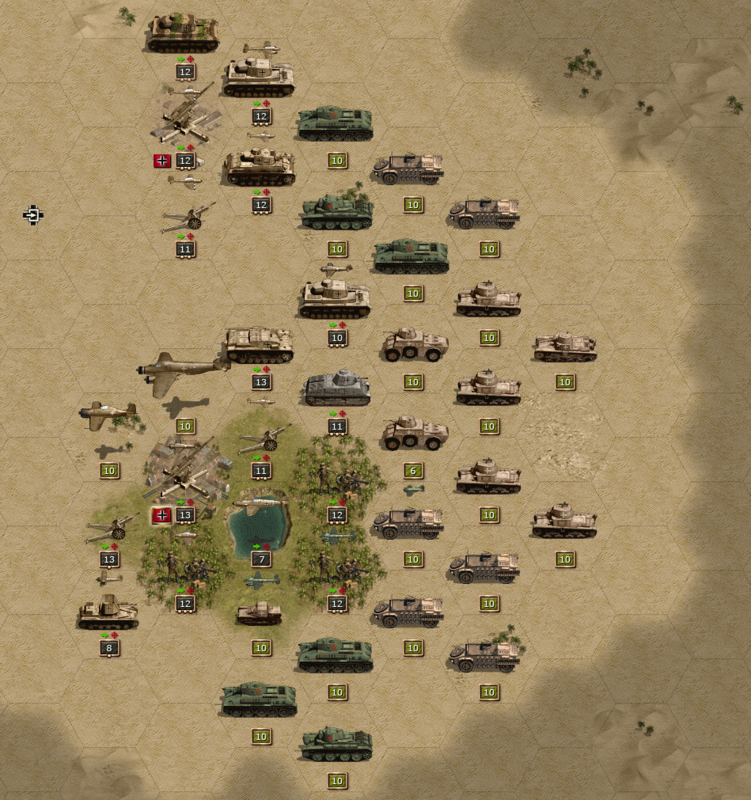 Install: Extract the rar file in your "documents\my games\panzer corps\mods" folder, start the game, click on the more campaigns folder and this mod should be in the list. 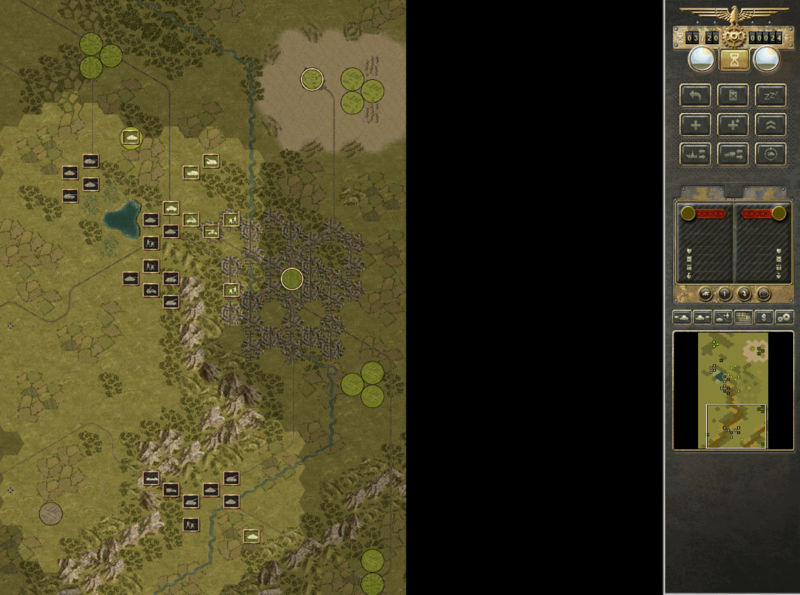 This campaign just uses the vanilla icons of the game and a few extra vanilla entries i made. At the end of every DLC, your core army is saved. This means that you can import this army at the beginning of the next DLC. The MP map pack runs on the vanilla e-file. The Alternate Grand Campaign is a fantasy campaign. This campaign is not related to WW2 in any way. 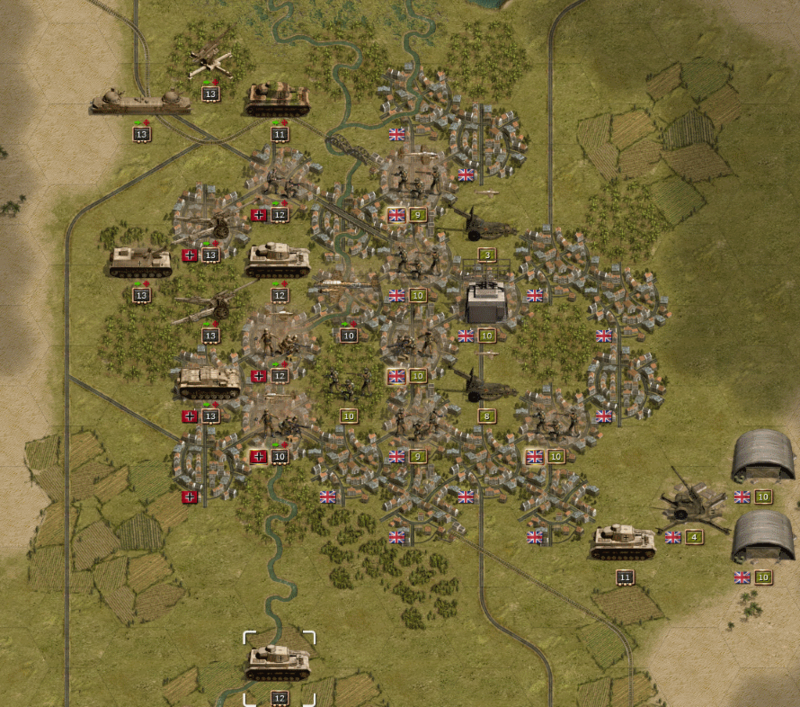 This is a simple and fast pace mod with German units just like GTPG. 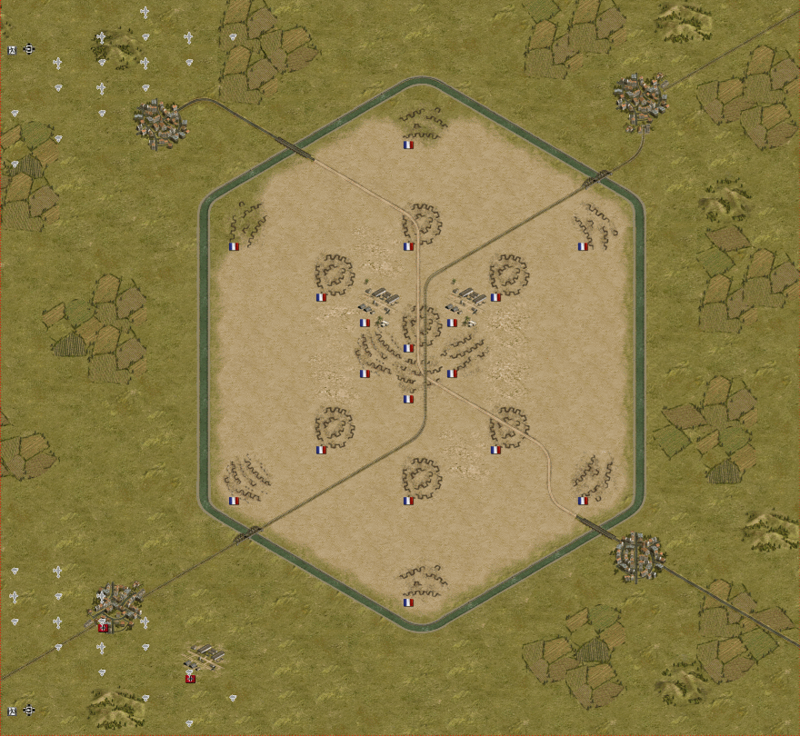 You begin with a very small core and play on very small maps. 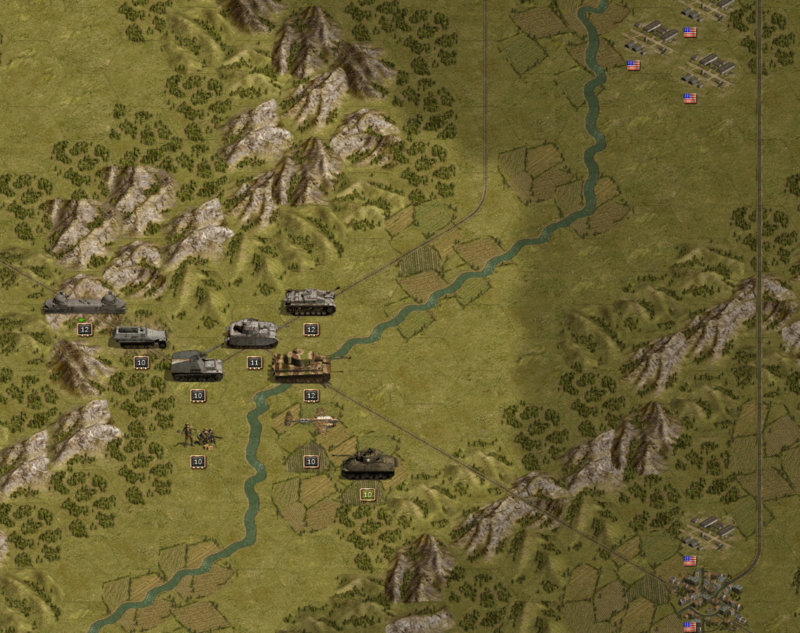 The size of maps and size of your core army will grow slowly during the course of the 8 DLCs. The average of gameturns to complete one mission is between 7 and 12 turns. The complete Grand Campaign will count 80 scenarios in total. Letzte Änderung: 4 Jahre 5 Monate her von nikivdd. The capture of "Forteresse d'allumette"
die Maps sind klein und man kann mal eben schnell zwischendurch eine Szenario durchspielen. Das man Einheiten während eines Szenarios austauschen kann, finde ich gut . Mein Einheitenpool besteht zur Zeit aus 31Core + 5SE + 1Aux Einheiten. Bin im DLC5, Aufstellung immer alle Flak und Jäger, nach Eroberung der Lufthoheit wird auf Bodeneinheiten und Bomber gewechselt. Es gefällt mir sehr dass du diese Kampagne spielen darf. Danke schön.